Amok is often thought of these days as the Khmer national dish. It’s particularly popular with tourists in Cambodia, though for most Cambodians its reserved for particularly special occasions. 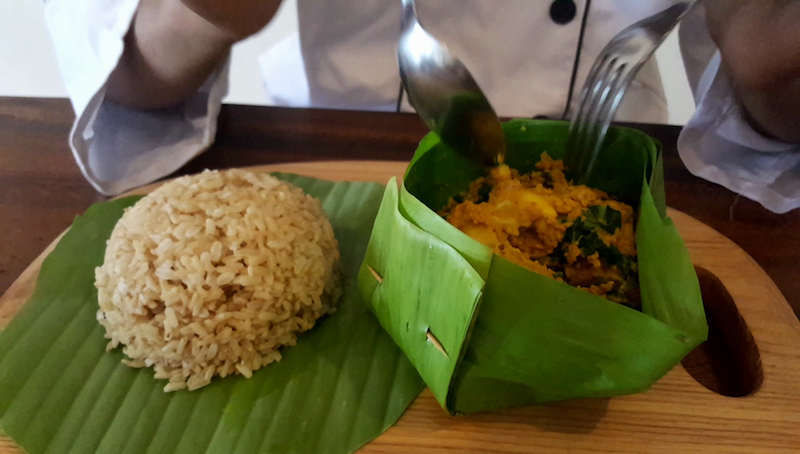 It definitely makes for a delicious combination of some of the best Cambodian ingredients. Here is my take on this dish. The ‘kreung‘ curry paste I use for this needs to be particularly smooth so I recommend using a blender.